Yesterday was just one of those days where I had to watch the clouds. The day started pretty bare but by mid day the sky was full and not that desirable. Thankfully we have had a bit of wind lately and the skies kept moving. With a whole in the sky, I went for a drive after dinner to one of my favorite spots. This is actually not only a favorite shooting spot but also a fishing spot of mine. 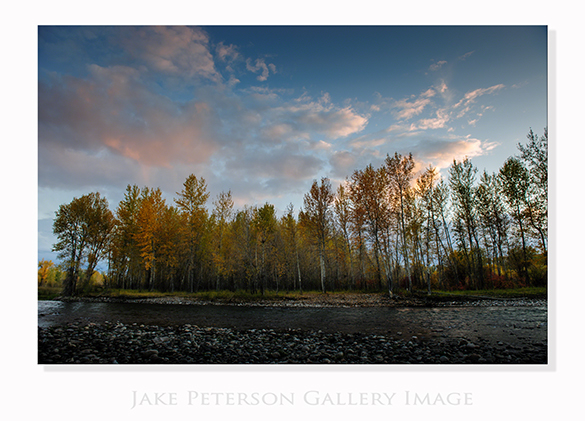 The river makes a great bend with a killer grove of Cottonwoods on either side. 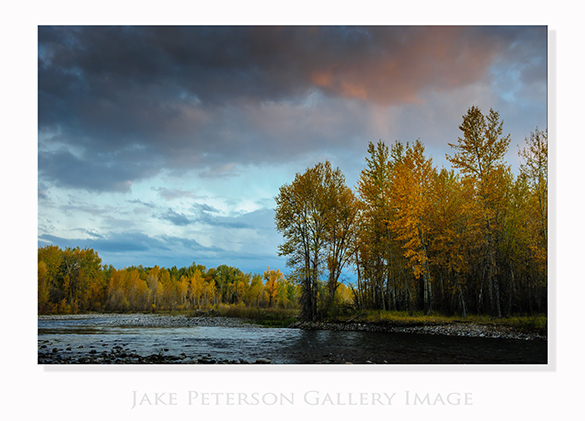 I have shot here a number of times, always looking for that great sky to put with the trees. I came closer last night but just as the light was getting good the sun ducked behind some clouds and was gone. Oh well, should have brought my fishing pole to.